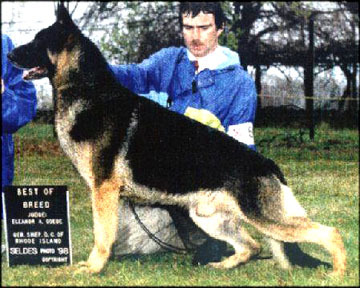 "A nicely formed mostly black and tan male. Good extension in motion. At times shows a slight give in mid piece. Down and back clean."